The health and success of the company depends on the cohesiveness of the C-Suite which is not always easy to achieve. There are many reasons contributing to C-Suite dysfunctions and the lack of relational leadership is one of them. Trusted & relationally competent leaders are skilled at creating a safe place for building trust and restoring fractured relationships. If there is any team that needs to work in harmony, act as a single, formidable unit, and resolve conflict well, it is the C-Suite team. The C-Suite leaders set the company’s direction. They represent the highest form of professionalism and competence. They are expected to model company values. Through their actions and attitudes, they set the standard of performance and behaviour. C-Suite leaders need to work well with each other—the company’s health and success hinge on the strength of the team. Deloitte refers to this desired mix of synergy and performance as the “symphonic C-Suite”. Their “new collaborative, team-based senior executive model” is a vision of a C-Suite team leading the organisation with masterful business and relational expertise. The way the C-Suite team functions is reflective of the company’s ability to withstand crises and disruption. “In a dynamic environment demanding both cross-disciplinary collaboration and deep functional expertise, operating as a symphonic C-Suite makes a great deal of sense, allowing leadership teams to tackle issues that no single function can satisfactorily address”, Deloitte says, in The Symphonic C-Suite: Teams Leading Teams. C-Suite leaders rarely collaborate well with one another. The fact that they have a difficult time doing so is an uncomfortable reality that cannot be ignored. 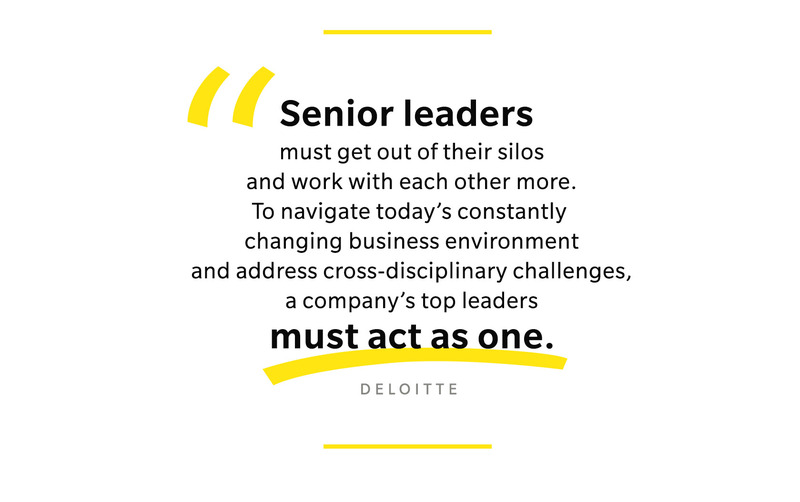 Deloitte says: “Senior leaders must get out of their silos and work with each other more. 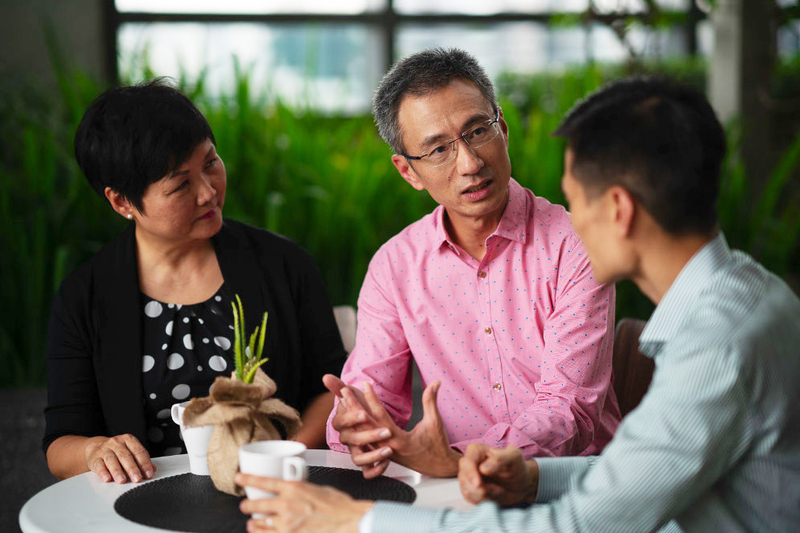 To navigate today’s constantly changing business environment and address cross-disciplinary challenges, a company’s top leaders must act as one”. Leaders who don’t work well together breed a toxic culture in the leadership team, that tends to trickle down to the staff. 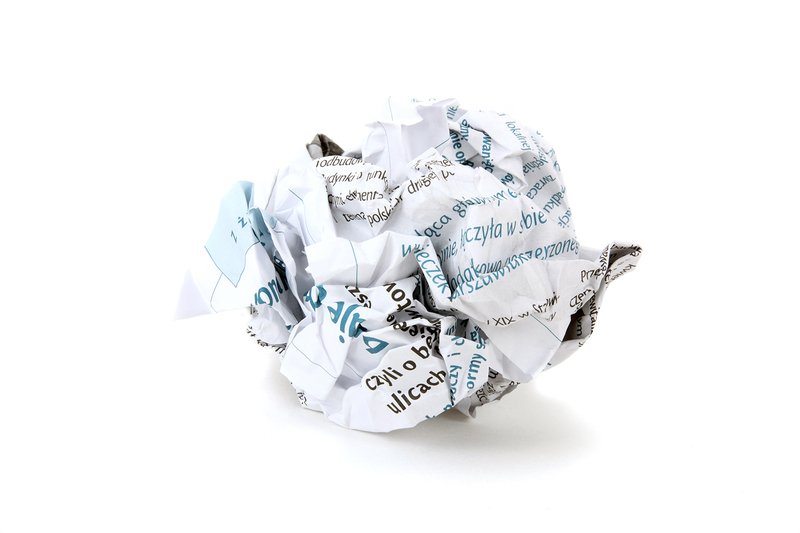 Why are C-Suite teams dysfunctional? 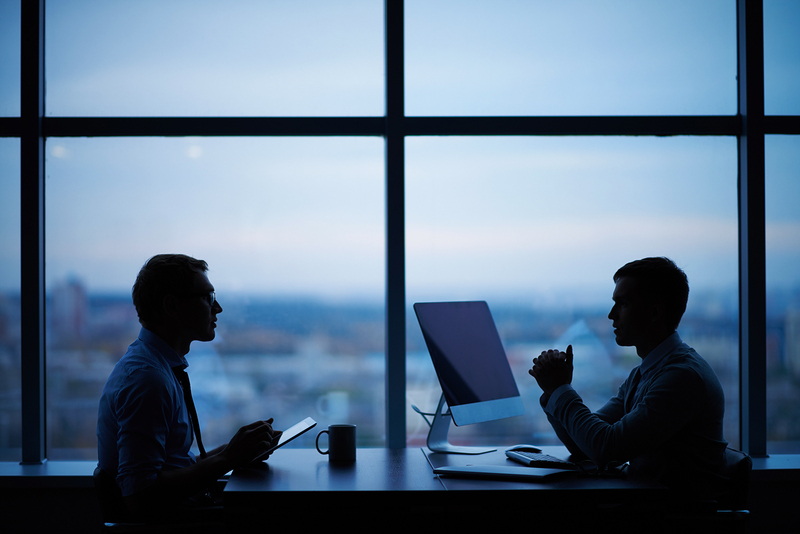 C-Suite leaders are likely promoted for their functional competencies. But as one ascends the ladder of leadership, it becomes more critical to develop relational skills. Technical expertise matters less, while human concerns are at the forefront. 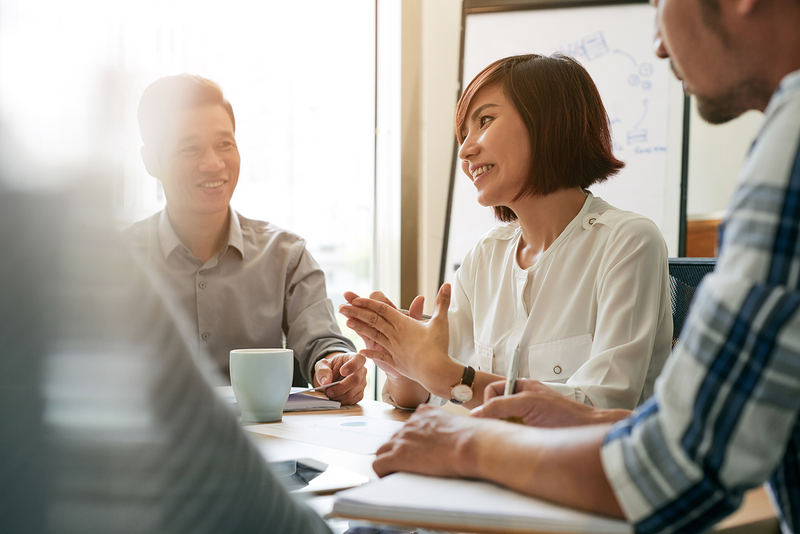 Communication, management, conflict resolution, building trust—these are crucial aspects of leadership that get ignored when the criteria for promotion is focused on business outcomes. At the C-Suite level, stakes are high, and stress takes its toll on leaders. A desire to protect their reputation may cause them to be less open to communication, less collaborative, and less willing to share their fears and failures. Relational skills are not a given. Many leaders may mistakenly assume they are equipped with all the skills they need, on account of their own achievements and corporate ascent. Relational skills are not getting the attention they require for leaders at the top to be effective in both functional and relational competencies. The StraitsTimes recently featured an article identifying self-awareness as a key trait lacking in CEOs who were recently forced to relinquish their leadership positions (Elon Musk who stepped down as Chairman of Tesla and Travis Kalanick, former CEO of Uber). “There is a strong positive correlation between self-awareness of leaders, their authentic behaviours and, consequently, their leadership effectiveness”, Straits Times says, in Life’s a Journey, So is Being a Good Leader. Becoming aware of these gaps is the first step for leaders to address issues and collaborate effectively as one team. Getting feedback the right way, from the right people, can help senior leaders build self awareness. Humility is a trait that allows leaders to view every person with value and appreciation. The opposite is pride—when a leader views himself or herself as being superior or more important than everyone else. In an article entitled The Best Bosses are Humble Bosses, The Wall Street Journal says that “Humility is a core quality of leaders who inspire close teamwork, rapid learning and high performance in their teams, according to several studies in the past three years. “Humble people tend to be aware of their own weaknesses, eager to improve themselves, appreciative of others’ strengths and focused on goals beyond their own self-interest ... Humility gives rise to deep listening, respect for diverse views and a willingness to hear suggestions and feedback,” the Wall Street Journal says. Developing empathy among your leadership team means that each leader is able to see, hear, and understand what each person in the team is going through, and be able to care and support one another. “...empathy is most lacking among middle managers and senior executives: the very people who need it most because their actions affect such large numbers of people,” Harvard Business Review says. Self-awareness, humility, and empathy create an environment where C-Suite leaders can trust each other and not feel threatened, or opposed by one another. 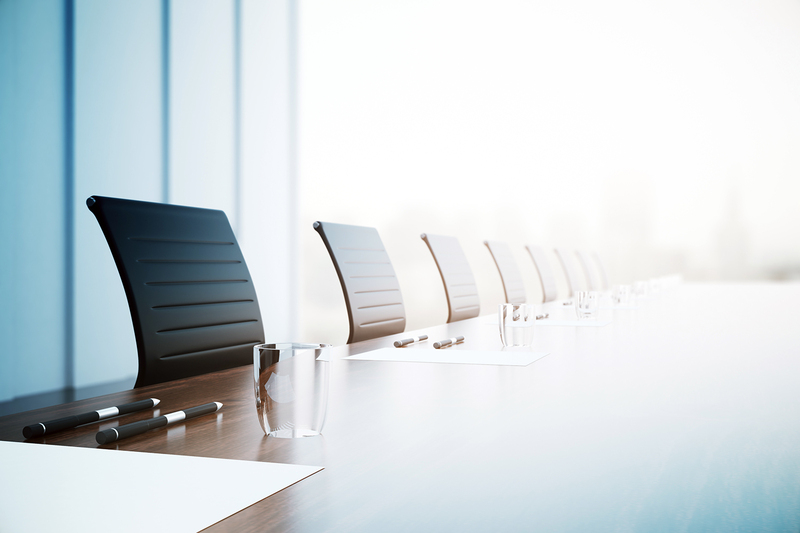 Building a safe environment can address dysfunctional behaviours by eliminating the need for C-Suite leaders to be guarded, territorial, and protective of themselves. To become a more effective team, what C-Suite leaders and teams need most today is to develop people skills and relational competencies. The goal is for each person to grow into a relational leader—the kind of leader that builds trust and safety among the team. The kind of leader that honours both people and results, creating a safe environment for the team to perform at their best and enable organisational success. Learn more about Relational Leadership of Senior Leaders. We take a relational approach to leadership development. Find out more about how you can develop relational competencies for leaders here.